Well played to both of our winning rinks. There are two matches left to play in the winter league, both at home. We can still do this Falcons. There are only 4 points between us and the team above us in the table, so all to play for in these final games. We have the knowledge, we have the skill, we have the man power and most of all we have that drive to succeed. We just missed a clean sweep by two shots. The final result was 116 shots for Horadada to 74 against giving us 10 points to 2 against. Very well played to all of our players. Our last match is against the top of the table, but we are at home so let’s make it count Team Horadada. 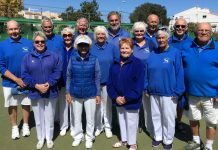 In the Voyager Division Sputniks at San Luis lost by 95 shots to 85 against the Romulans with wins from with wins from Wendy Ralph, Sheila Millward and Jim Eastwood 21-11 and Joe Kocsis with Noel and Catherine Morrisroe winning31-8. Pioneers at home to the Vulcans had a similar result losing by 71 shots to 64.Wins came from Jo Elkin, Derek Smith and Rab Logan 24-11 and Barbara Cooper, Irene Laverick and Sue Jordan 13-9. In the Winter League La Siesta at home to Vistabella lost by 84 shots to 67 and despite several close rinks the single win came from Derek Smith, Tony Campbell with Florence and Mike Edwards. In the Fed 4’s the Parakeets were at home to Greenlands Ash and won by 51 shots to 35 picking up a 6 points to 2 victory.Winning rinks for the Parakeets came from Ann and Robert Heath with Pat Harman and Jean Cooper 22-7 and Ros Stockell, Brian Gardiner,Brian Harman and John Ball 15 shots to 12. In Division A Blues at home to Emerald Isle Claymores had a great 103 shots to 65 victory winning on all rinks. Best winners ere Ann & Robert Heath with John Ball 23-12 whilst Brian Gardener, Brian Harman with George Richardson won 18-8.This was closely followed by Dave Davies with Harold Charleton and Irene Mangan 19-10.So a 12-0 victory for the Blues. In Division B Golds away at Country Bowls Geckoslost by 116 shots to 64 winning on the rink of Barbara Cooper with Irene & Dave Laverick 20 shots to 7. In Division C Silvers away to Emerald Isle Roundheads and managed a win on the rink of Hilary Clark with Rod Edgerton and skip Alan Ralph in a close match decided on the last end by 15 shots to 12. In a topsy game the rink of Wendy Ralph with Sheila Millward and Jim Eastwood drew 19 shots apiece, So 3 points to the Silvers. Monte Mar Toreadors v Quesada Rubies. The bowling by both teams reflected the lovely March weather as the bowling was excellent. It was a shame the Rubies were a rink short nevertheless all the rinks were very tight. On three rinks the winning team won by one shot while on the fourth rink the Rubies won by four shots. The match was a draw as the Toreadors won the shots. Shots 68 – 63, Pts Toreadors 6 – 6 Rubies. At home to Quesada on a lovely March morning Monte Mar won on two rinks and only lost by one shot on another. Well done to the winning rinks of Jan Soars, Steve Hindle, Jan Gatward skip Mick Soars 14 – 13. Lynne Armitage, Jean Chamberlain, Jack Burrell skip Dave Melville 17 – 13. Shots 62 – 93, Pts Monte Mar 4 – 8 Quesada. A beautiful sunny Morning saw the Toreadors away to San Miguel. After a tough mornings bowling the Toreadors managed to win on one rink. Well done to Sheila Roberts, Sue Bounds skip Phil Goble. Shots 68 – 118, Pts Toreadors 2 – 10 Boxers. Another up and down week; just hanging in there hopefully. SA League Monday 11th Klingons away v LS Apollos, good result; 10pts-2, 103shots-64. Winners: Colin Jackson, June & Keith Jones 22-17, Giuseppe Galelli, Ann Holland, Ray Pollock 21-11, Kath Reid, Pam Lockett, Ian Kenyon 17-14, Bob White, Sabrina & Russell Marks 30-3. Romulans home v LS Sputniks, a good result 8pts-4, 95shots-85. Robert Hicks, Mary Fromson, Lyndon Johnson 23-9, Chris Phillips, Allan Lever, Ralph Jones 17-15, Dee Hoey, Pat Barnes, Tom Fromson 36-9. Wednesday 13th Winter League: a good result home v Benitachell, 10pts-2, 99shots-70. Winners: Pam Lockett, June Jones, Peter McEneany, Keith Jones 24-16, Kath Reid, Giuseppe Galelli, Neil Morrison, Ian Kenyon 17-14, Jan Pocock, Drew Russell, Sabrina & Russ Marks 31-12, Ann Holland, Ray Pollock, Jo & Jules Pering 13-10. Our Berleen team: Ros Holmes, Barry Edwards, Dave Blackie, Brian Pocock had a great win; 21-13. Southern League: Friday 15th Lions home v EI Cavaliers, shots 79-91, 6pts-6. Winners: Colin Jackson, June Jones, Keith Jones 19-17, Kath Reid, Pam Lockett, Ian Kenyon 18-14, William Holtham, Peter McEneany, Ray Clarke 18-14. Tigers, a tough match away v LM Ospreys, 71shots-90, 2pts-10. Winners: Margaret Roseveare, Bill Webb, Barry Edwards 17-11. Leopards away v HO Royals, a tough game: 2pts-10, 74shots-116. Winners: Ray Watmough, Dave Tilley, Drew Russell 22-20. Pumas: BYE. San Miguel Pointers were away to Greenlands Chestnuts, winning 10 – 2 (119 shots to 71), best winning triple Ann Allen, Dave Young and Stuart Hemmings 27 – 9. 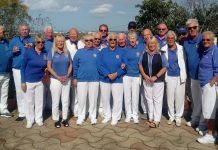 San Miguel Alsatians were home to Vistabella Drivers winning 11 – 1 (92 shots to 71), best winning triples were Tony Sansom, Linda Plaisted and Cliff Plaisted 20 – 12, and Ken Hope, Paul Hayward and Mike Douglas 18 – 10. San Miguel Dalmatians were home to Mazzaron Mariners winning 8 – 4 (97 shots to 82), best winning triple Stan North, Bob Graham and Bob Donnelly 24 – 10. 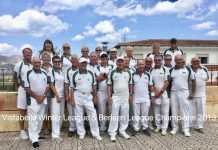 San Miguel Beagles were away to Vistabella Albatrosses winning 10 – 2 (103 shots to 70), best winning triple Noel Davis, Carol Broomfield and Steve Cantley 33 – 7. In the Winter League San Miguel were away to La Marina drawing 6 – 6 (82 shots to 81), best winning team James Cutting, Val Collier, Chris Collier and Stuart Denholm 17 – 10. 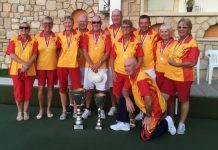 In the Fed 4’s San Miguel Apaches were away to Emerald Isle Leprechauns losing 6 – 2 (50 shots to 43) on the winning rink were Paul Hayward, John Staden, Ann Allen and Dave Greenland 15 – 10. 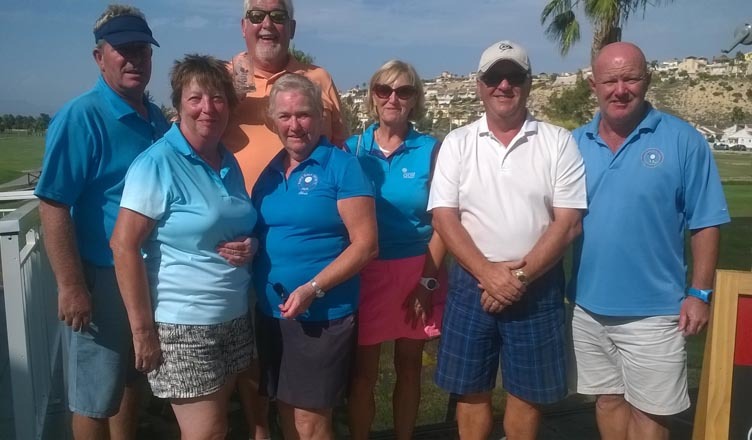 San Miguel Cherokees were away to Quesada Panthers sharing the points 4 – 4 (57 shots to 56) best winning team Noel Davis, Carol Broomfield, Gail Willshire and Fred Willshire 20 – 9. San Miguel Mohawks were home to San Luis Ospreys where they had a bad day at the office losing 8 – 0 (56 shots to 32). 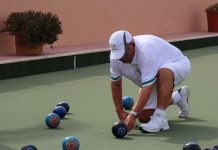 On Friday San Miguel Boxers were home to Montemar Toreadors winning 10 – 2 (118 shots to 68) best winning triple Bob Hanton, Jim Jarvie and Brian Errington 42 – 9. San Miguel Bulldogs were away to Vistabella Lanzadores also having a bad day at the office losing 12 – 0 (102 shots to 61). We wish them all good luck for the Champion of Champion’s Competition to be held at SMBC from 15th – 21st April. sponsored by TV Choice & Venture Fleet. SOUTH ALICANTE ENTERPRISE LEAGUE. The Albatrosses were away to San Miguel Beagles, they kept the game tight on four rinks with the fifth struggling to keep up, the end result didn’t reflect the effort they put in. Shots, VB 70(2) – 103(10) SM. The Drivers at home got mauled by the San Miguel Alsatians, Their only point came from a drawn game, I’m sure they would like to forget this one. Shots, VB 71(1) – 92(11) SM. 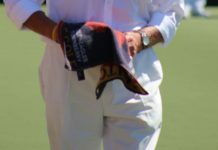 DISCOVERY LEAGUE.The Eagles played their final fixture away to the Horadada Falcons…and what a great result to finish with…wins on four rinks we can’t complain with that! Shots, VB 95(8) – 91(4) H.
WINTER LEAGUE. Away to La Siesta and it’s tricky rinks, changeable wind directions making matters worse but with a lot of determination the team did well once again, four wins with another not far behind. Shots, VB 84(10) – 67(2) LS. SOUTHERN LEAGUE Div A. Lanzadores. Wow.. a great win this week which means the team have won the league. Playing San Miguel Bulldogs at home we won on all five rinks, great…well done everyone! Shots, VB 102(12) – 61(0) SM. Last game next week just go out and enjoy. Picadors away at El Rancho didn’t do very well losing on all rinks. VB 60(0) – 123(12) EL. Div C Conquistadors away to Emerald Isle Outlaws had a couple of good wins, a fair result from their final game. Shots, 65(4) – 93(8) EI. The Swingers were last to finish with an afternoon home game against Greenlands Cedars, they won on three rinks and also the long game. Shots, VB 87(8) – 79(4) G.
Firstly, many apologies with a mistake made regarding the names of one of the winning teams. Last Monday in the match against El Rancho, rink 3 should have read Graham Richardson, Pat Ray & Brian Ray 44 – 4. Again apologies to Pat & Brian Ray, a tremendous result. The Flamingos travelled to El Rancho to take on the Raiders this Monday. Not withstanding the tricky rinks there was a strong wind blowing, making conditions extremely challenging. As you would expect the home team made the most of the conditions and the Flamingos struggled to show their own craft. In the end it was the ‘old dependable’s’ Graham Richardson, Pat Ray & Brian Ray who collected our only points. Well done. There were some very hard games being fought but sadly the Flamingos came out second best. Better luck next time Flamingos. The Geckos, today welcomed the La Siesta Golds to their club for a return match. Having lost 9-3 away at La Siesta earlier in the season, the Geckos were out for revenge today. La Siesta Golds are currently 4th in the league so it was going to be a tough game but the Geckos were determined to take the shine off the Golds!! The game was nip and tuck for the first half with the Golds giving as well as they were getting. At the end the Geckos had achieved their revenge in bucket loads with a 10-2 win and shots of 116-64. The victors were: Sylvia Rennie, Jean Turner, Jim Rennie 29-9; Viv Brown, Pat Ray, Brian Ray 28-7; Carole Donnellan, Les Turner, Den Birkett 31-13; Graham Richardson, Pat Emmett, Geoff Paylor 21-15. 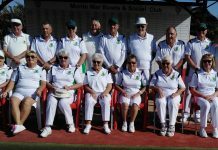 A great win for Country Bowls Geckos. 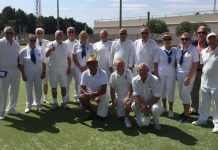 In the penultimate game of the season 5th place Country Bowls Cubs had their work cut out against 3rd place La Marina Merlins in their away match on Friday afternoon. Games flowed back and forth and the standard of bowling was exceptional. The Cubs were hoping to take leave with some points in the bag and managed to win on 2 rinks giving them 4 points which was not too shabby a result for the newcomers to the league. 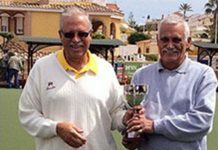 The shots were 90 to 72 in La Marinas favour with the overall score being 8 – 4 to the home team. Winning rinks were Joel Fernandez, Agnes Burke, Lynne Bryce and Chris Stevens, Craig Dyson, Andrew Bryce. Monday morning found the Palominos entertaining the Saturns from Emerald Isle and put in an excellent effort in taking 4 rinks and the overall shots, just the job for the old feel good factor. Helga Schiffman, Janet Wright and David Wright 19-16. Tony Abbott, Debbie Ham and Adrian Ham 15-12. Dolly Ford, Carol Gray and John Richards 16-14. Gary Dunstone, Tony Robinson and Mike Ager 17-21. Ngaio Baldwin, Ann Abbott and Pete Baldwin 21-16. The Pintos were at La Marina playing the Pathfinders were a stiff breeze caused a little consternation, but the Pathfinders took advantage of the home mat, taking 3 rinks to the Pintos 2. But 2 rinks away from home is always a good result. 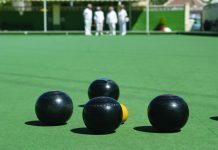 In the afternoon the Raiders played host to Country Bowls Flamingos and also put in a great effort, taking the rinks by 4 to 1 and the overall shots, a great result. Monday morning found the Raiders at Greenlands playing the elms and put on a good show in taking 2 rinks, a good away result, well done all. Meanwhile the Broncos had a tough fixture at Montemar against the Matadors, always a difficult opponent, though a favourite of mine. Although the Broncos came away without a point, they put in a good effort and played well. 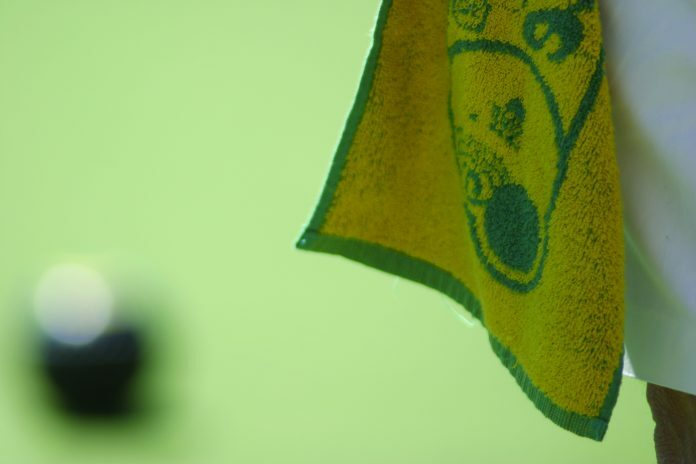 Leprechauns played at home in Fed4s against San Miguel Apaches and won 6-2, aggregate 50-43, winners were A Miles J Gregory H Rhodes G Ponsford 21-13, S Kavanagh R Adams S Watson B Kavanagh 19-15,. Outlaws played at home against La Siesta Silvers and they won 8-4 aggregate of 93 -65 winners were L Freeman T Dix E Bennett 29-8, L Harris B Smith M Willicott 26-7, D Close T Harris G Ponsford 19-10. La Siesta ‘Silvers’ failed to field a full team. In the Voyager Division, the Chestnuts were at home to San Miguel Pointers. Final score, shots 71 – 119. Points 2 – 10. Winning rink was, B White, V Young, skip M Cassidy. 16 – 14. In the Discovery Division the Maples were away to Emerald Isle Neptunes. Final score, shots 74 – 93. points, 4 – 8. Best winning rink was S Cordell, R Cordell, skip C Harris. 17 – 10. Also in the same Division, the Sycamores were away to Emerald Isle Moonrakers. Shots, 85 – 76. Points, 10 – 2. Best winning rinks, Z Wilcock, R Stansfield, skip T Hill. 19 – 16. B Tomlin, V Duchart, skip J Wilcock. 19 – 16 In the Winter League we were at home to Javea Green, final score, shots 68 – 90. Points 2 – 10. Winning rink was C Rudge, D Giddings, D Toozer, skip L Rudge. 20 – 8. In the Fed 4s, the Ash were away to La Siesta Parakeets, Final score was, shots 35 – 51. Points, 2 – 6. Winning rink was, S Cordell, J Dowell, R Cordell, skip A Eagle. 16 – 14. In the Southern league A division, the Oaks were away to Quesada Swallows. Final score was, shots 71 – 94, points, 4 – 8. Best winning rink, A Toozer, J Obrien, skip C Dewar, 16 – 12. In the C division, the Elms were at home to El Rancho Rangers. Final score was, shots, 100 – 78. Points, 8 – 4. Best winning rink was, D Watt, C Stobbart, skip G Watt. 36 – 6. 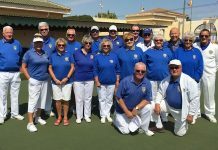 The Cedars were away to Vistabella Swingers, final score, shots, 79 – 87. Points, 4 – 8. Best winning rink, J Hamill, D Dudding, skip S Hamill. 20 – 9.